Every year, a huge amount of foods are brought into the country for Americans to eat, but before they do, an inspection unit checks them. Here are the foods most likely to not make the cut — and why they get tossed. The United States' USDA put out a new report from the results of almost two decades of food inspections — of particular note was this chart of which foods were most likely to not make it. Unsurprisingly, fish and a vaguely chilling category of "multi-food dinner/gravy/sauce/specialties" were the main culprits. 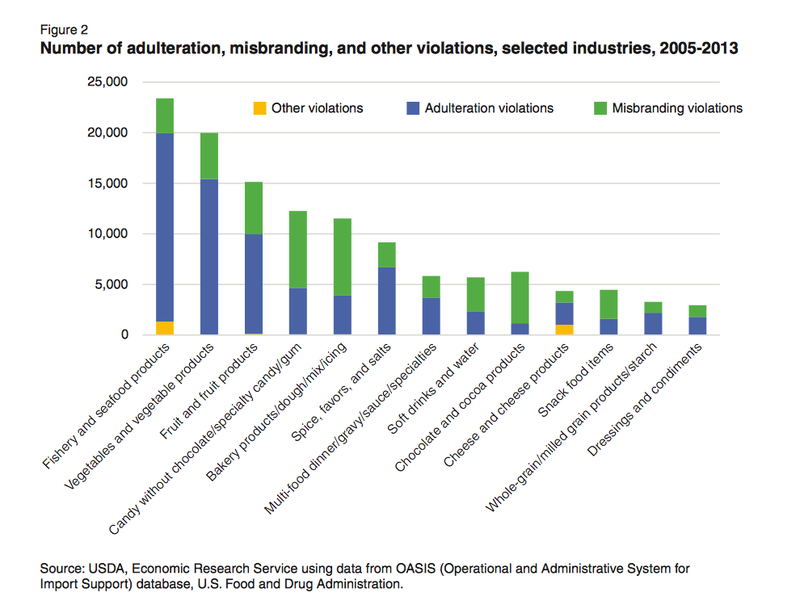 But also interesting to note is that spices, once a small segment, are now rapid targets for fraud, mislabeling, and contamination. 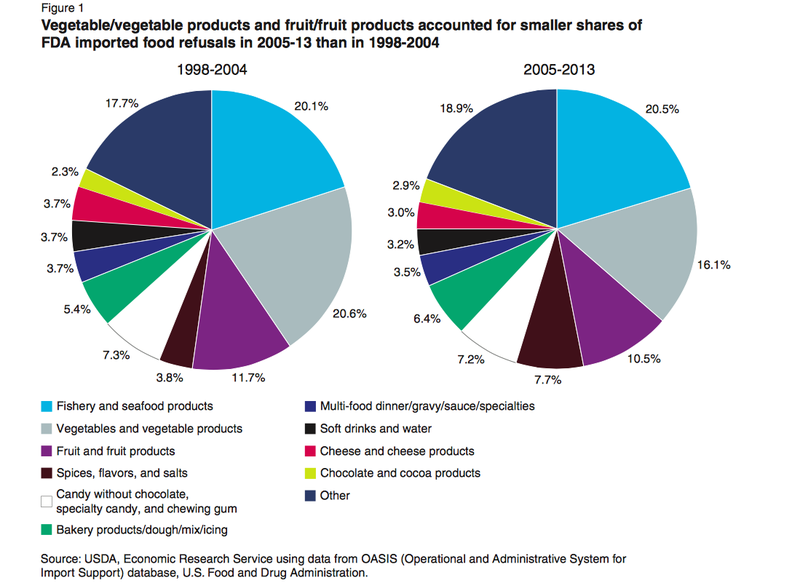 Equally intriguing was this chart below, which shows the reason for each particular food being thrown out. 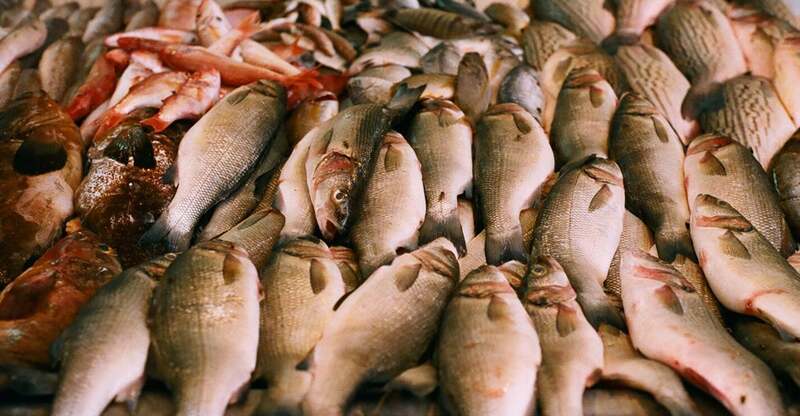 While single item foods — a fish, some vegetables, a piece of fruit — were mostly thrown out for contamination, prepared foods were much more likely to be thrown out for mislabeling. It's a good reminder that, as many different kinds of foods as there are, there are just as many ways for them to go bad.